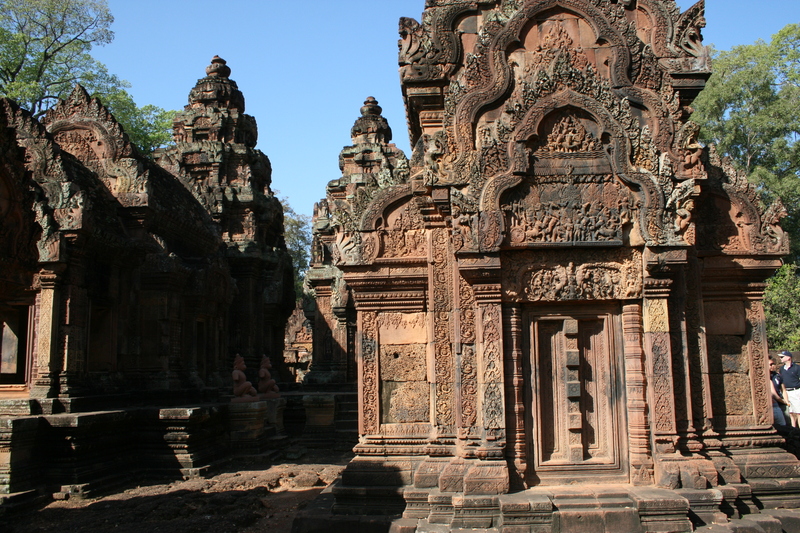 Banteay Srei is a 10th century temple dedicated to Hindu god Shiva. Built of red sandstone, the rock has led itself to the stunning carvings that have made this temple complex famous. Enjoy all my Cambodia daily photos.